The mimic octopus needs no introduction, but watch these videos to have your mind blown. This is insanely beautiful and reminds us that humans are boring. Also, you know you’re the business when you start mimicking a fish and some other fish mimics you and acts like your sidekick. 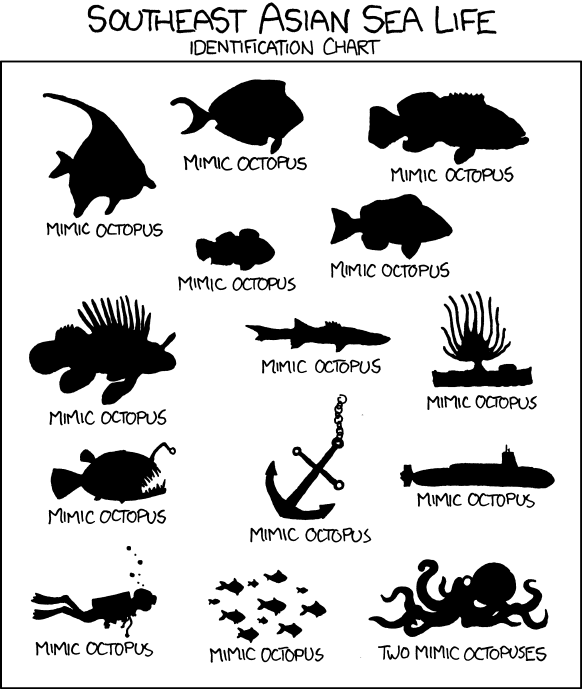 This entry was posted in Curiosities of Nature and tagged cephalopod, meet the, xkcd. Bookmark the permalink.